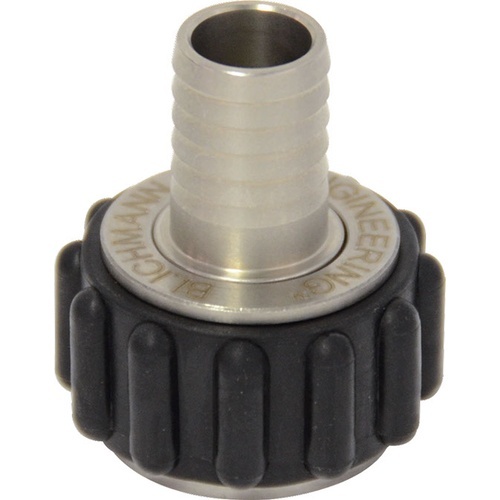 The Blichmann Stainless Steel QuickConnector sets are great for a number of different reasons! Not only do they work with all 1/2" NPT (extremely universal), they also come in multiple different sizes and configurations. I trust Blichmann products. Period. Because it is made for the pump. Wouldn't buy the brand item for this next time, does what it is supposed to do, but expensive. Okay, if you don't plan on moving hoses around. These really cut down on using thread tape, but at the expense of having a really great quick disconnect. We purchased a few with the intention of moving away from the Morebeer stainless quick disconnects but mixing and matching connectors with tubing just wasn't working out. We'll stay with the Morebeer version.